With so many components on vehicles, it can be hard to determine which things to be on the lookout for, and which are the most important. One thing is for sure, the longevity of your car is entirely dependent on fluids. 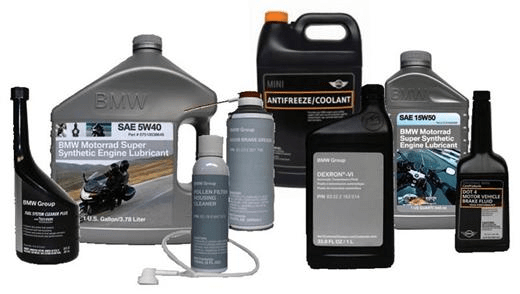 Your BMW, Audi, Mini, or Porsche will have fluids including coolant, engine oil, brake fluid, washer fluid, and transmission fluid depending on the type of transmission you have. For some specific models that sport the all-wheel-drive system, you may also have to service the front or rear differential fluids. When in doubt about your fluid levels, you can always take it to a BMW Auto Repair Near Me, like Ryan G. Motorworks for a fluid inspection. Our technicians can quickly assess if you are in need of a top off, are over or under fluids. Having the correct amount for each system of your car will allow it to work as it should. But what happens if you run low on your fluids? Will it immediately do damage? How bad can it be? Check out the main fluids your car needs to run, and what can happen if they aren’t inspected, filled, or changed when needed. The heart of your high-end German vehicle is the engine. There is never a time running it without oil is okay. Engine oils main function is to provide lubrication for the metal parts inside the motor. The pistons, rings, valves, rockers, and other components are entirely dependent on oil. If you aren’t running enough oil, or it is completely dry, the motor can lock up. Once this happens, it is fair enough to say the engine is toast. The cost for replacing an engine in a newer BMW, Audi, Mini Cooper can be costly, and can in most cases, be avoided with proper maintenance and fluid inspections. Periodic oil changes help reduce the chances of running your vehicle with no oil, as well as having a fluid inspection done between oil changes. It is also crucial that when adding or doing an oil change that the right fluid is used. Different weight oils are used depending on the engine type and climate, but almost all newer vehicles call for full synthetic. When taking your car in for German Auto Repair or inspections, they will know precisely how many quarts of what type of oil needs to be used. How much do you value being able to stop your BMW? The braking system of most cars is ultimately dependant on brake fluid. Most vehicles have upgraded to using DOT 4 in their master cylinders and are found in vehicles with ESP and ABS systems, which most German models come standard. A technician, during a fluid inspection, will make sure there aren’t any leaks, and that fluid comes up to the line indicating full. Most higher end German vehicles use 4 wheel disc brake systems that provide unbelievably excellent stopping power, with the proper fluid levels they are able to operate as intended. Automatic transmission needs transmission fluid. Your transmission uses the fluid within to signal at which point it needs to shift gears. With a manual transmission, you tell the transmission when to shift. This doesn’t mean that a manual doesn’t require any fluid, it just doesn’t use ATF, it could use engine oil, grease, or different liquids depending on the manufacturer. Keeping the transmission lubricated is essential but not as critical as having the correct amount of fluid in it. Failure to maintain the proper levels of fluid can cause the automatic transmission to slip. You will try to accelerate and feel that it revs high, won’t increase speed, and takes a second to change gear. Transmission fluid should be checked regularly, just as you would with engine oil. Those are the most expensive components to replace on any vehicle, and it’s well worth the ten minutes to have a fluid inspection done to ensure they are all at the proper levels. Antifreeze or engine coolant is needed to reduce the temperature of your car. Each vehicle make and model has a specified operating temperature that is required for optimal performance and considered safe. When there is a leak in the coolant system, you may find that your car can or will overheat. Allowing your car to run “hot” will almost always ensure the catastrophic failure of the cylinder head or damage to the engine block. During a fluid inspection, a technician will check that coolant is at the proper level and that there is antifreeze in the reservoir tank, if applicable.